Hi, I have an RV with a big 454. I believe the current transmission is a th400. I want to replace it with a transmission that has an overdrive. Would you recommend this TH200 or something else? Thanks. The 700R4 is probably the best option to replace the TH400. Do you sell a 200-4R that can withstand 750hp/lb-ft, and/or can this one be ordered stronger? No, the highest rated 200-4R transmission we have is rated at 525 hp. I am wanting to put an overdrive in my 1956 Chevy car. The engine is basically a stock 300 horsepower 327. Would you recommend the 200-4R or the 700R4? The 700R4 is the most common and has the best selection of accessories currently. Speedometer drive gear is &quot;internal&quot;, How much disassembly is required to install the drive gear (NOT included!)?? It will depend, usually you can just remove the tailshaft extension. This item does not have a core charge on it. I have a '72 chevy c-10 with a 350 / th350. I read I only have to move my trans support a few inches. Is that true and will I have to change my driveshaft length. I also want your basic 350 crate, do they come as a kit to save a little . Yes, you will have to move the mount and get the proper torques converter. 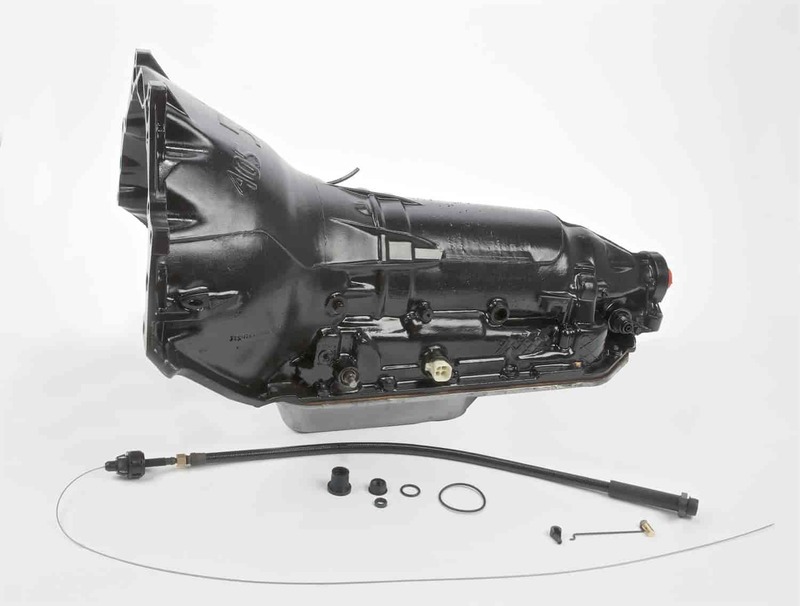 We have kits with the TH350 and engines, but you can easily add one of the many crate engine options we have. I have a 68 chevelle with a 327,I would like to know if a th200r4 transmission will work with my vehicle? Yes, this transmission will work in your vehicle. The TH400 is the stronger of the 2 transmissions.